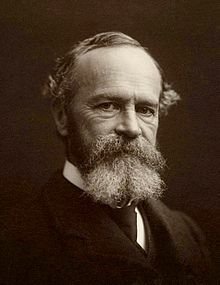 William James was one of the leading American pragmatists of the late 19th and early 20th centuries. Although highly empiricistic in his bent, his openness and increasing sympathy with belief in a transcendent reality is remarkable. Especially through his research for his Gifford Lectures on religious experience, which culminated in the classic text The Varieties of Religious Experience, James’s views seemed to shift from openness to bona fide belief. In his 1898 essay “Human Immortality” James argues that even if we assume the brain-dependence of the mind, this does not rule out the possibility of life after death. James begins with the assumption that “thought is a function of the brain” and so asks, “Does this doctrine logically compel us to disbelieve in immortality?” He answers negatively, and all he needs to do to support his thesis is offer a reasonable way in which such survival is possible even given this assumption. This would show that the functional dependence of the mind on the body “has in strict logic no deterrent power” when it comes to belief in immortality. “The fatal conclusion of the physiologist,” says James “flows from his assuming off-hand another kind of functional dependence, and treating it as the only imaginable kind.” The truth is that there are several kinds of functional dependence, only one of which is the productive function that materialists assume about the brain-mind. James asks us to consider two other kinds of functional dependence: (1) a releasing function, as when an obstacle is removed from the bow, allowing the bow to bounce back and, thus, the arrow to be shot away or when a plug is removed from a drain, allowing water to flow into the pipe and (2) a transmissive function, as when a prism or refracting lens allows light to pass through while determining the color, path, and shape of that light as it proceeds. In both of these cases there is functional dependence, but in neither case is the dependence productive. So the question is whether the functional dependence of the mind on the brain must be productive. James says no, “we are entitled also to consider permissive or transmissive function. And this is what the ordinary psycho-physiologist leaves out of his account.” So James is proposing the possibility that the brain does not produce but rather transmits or releases mental activity, in the sense that there is a realm of consciousness beyond this physical realm—whether a single, monolithic consciousness, as conceived by pantheists or innumerable individual consciousnesses as conceived in orthodox Christian and Jewish traditions—which breaks into the physical realm via our brains. James writes, “Consciousness in this process does not have to be generated de novo in a vast number of places. It exists already, behind the scenes, coeval with the world. The transmission theory not only avoids in this way multiplying miracles, but it put itself in touch with general idealistic philosophy better than the production-theory does. It should always be reckoned a good thing when science and philosophy thus meet.” As a Berkeleyan idealist myself, I am especially pleased to see James make this important observation. He continues: “On the production-theory one does not see from what sensation such odd bits of knowledge are produced. On the transmission-theory, they don’t have to be ‘produced,’—they exist ready-made in the transcendental world, and all that is needed is an abnormal lowering of the brain-threshold to let them through.” So, on this view, death doesn’t bring destruction of the person. Rather, “all that can remain after the brain expires is the larger consciousness itself as such” whether conceived in a pantheistic or traditionally theistic way. I find James’ perspective here to be refreshing for a couple of reasons. 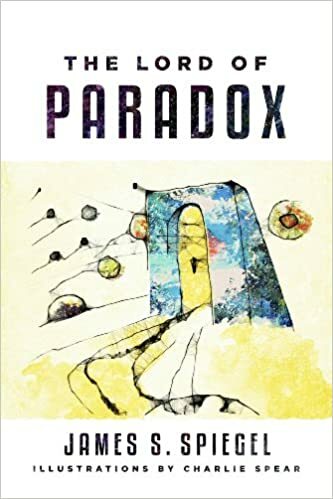 In the first place, the theory he proposes here is quite plausible—it has significant explanatory power, and it avoids many philosophical problems related to the two major theories of mind—physicalism and substance dualism. Secondly, James’ approach is refreshing because of his open-mindedness and theoretical adventurousness. James’s views evolved throughout his philosophical career, and as he explored issues in the area of religious experience, he showed an admirable willingness to allow his findings to open his mind to the pervasive reality of the supernatural. The proposal he makes in “Human Immortality” is just one instance of this. It’s fun to think about this idea in the most literal, factual sense. The me that just read this post and is now writing this comment is transcendental energy refracted through an organic prism. My body is a kind of probe through which this energy explores the time-space continuum. But … again … frisson comes from seeing that this is not a metaphor. It’s exactly what is happening. To move these ideas from the realm of the speculative to the realm of the likely or more likely than not, wouldn’t we need experience of consciousness without a brain. Are there any examples of this? I’m not aware of any. William James is absolutely brilliant. I definitely recommend reading ‘The Gospel of Relaxation’ and ‘The Energies Of Men”.